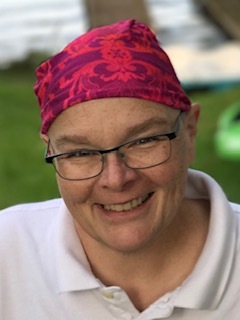 On Monday, October 29th, 2018, Mary Elizabeth (Mary Beth) Feindt passed away unexpectedly at the age of 53 from complications of ovarian cancer. Mary Beth was born on October 4th, 1965 in Indiana. She was raised by Robert Feindt and Eileen Scanlon Feindt in Pittsford, NY. She attended Pittsford Mendon High school and studied History at Wittenberg University. She went on to obtain her Juris Doctorate from the University at Buffalo. In her over 25 years as a lawyer, Mary Beth worked as a prosecutor focusing on domestic violence and child abuse cases. She was the Continuing Legal Education Manager at the Monroe County Bar Association and most recently, served as a deputy courtroom clerk for U.S. District Court Judge Frank Geraci. One of her main professional passions was increasing awareness of mental health issues within the legal profession. She has received numerous awards throughout her career, the most recent of which recognized her excellence in representation of adult indigent clients. Mary Beth was also active with the Russian American Rule of Law Consortium and traveled to Russia on numerous occasions to help educate Russian lawyers and judges. Mary Beth was an avid Green Bay Packers fan. She also had a genuine love for animals, and is survived by four dogs, four goats, four chickens, and three cats. She was known for her quick wit, photography skills, infectious smile, open mind, and kind heart. She was a fierce advocate for the LGBTQ community as well as children’s and women’s rights. Mary Beth is survived by her loving wife Dawn Landes, father Robert Feindt, step-mother Beverly Feindt, daughter Christina (Caity) Feindt, sister Kathleen Feindt, brother John Feindt, step-siblings Naomi, Aaron, and Sarah, and several beloved cousins. She was also the loving aunt of Amelia, Vivian, Laura, and Zachary. Mary Beth was preceded in death by her mother Eileen Scanlon Feindt, and her grandparents Harriet and Fred Jones, and Helen and Lester Feindt. A prayer for remembrance will be held at 1:30 pm on Monday, November 12th at St. Thomas Episcopal Church, 2000 Highland Ave, Rochester, NY 14618. Following the service, a reception will be held from 2:00 – 4:00 at this location. At Mary Beth’s request, this will be a casual event. Sports attire is encouraged and as per her wishes, those wearing suit jackets and ties will kindly be asked to remove them. In lieu of flowers, please consider donating to Mary Beth’s Go Fund Me Page created by her family to aid in the costs of her medical treatments and funeral expenses.